It was the late fall of 1982. The first semester of my junior year at the University of Kansas was almost finished, and my girlfriend’s sorority’s fall service project was to help with the Lawrence Special Olympics bowling competition. They were short on help, so my future wife asked me to tag along. What follows was what I like to call “God’s audition to be parents of a disabled child.“ We had a wonderful time bowling, laughing, and eating with these young adults. Most of them had Down syndrome, but several others had different cognitive or physical disabilities. Regardless, my future wife and I left that event very happy that we had been involved, and wondering whether we should volunteer for future Special Olympics activities. Little did we know what God had in store for us. But once that disabled child comes home with you from the hospital, things begin to change. Slowly and imperceptibly at first. The first time we went to a Down Syndrome Guild meeting was just after our oldest son was born, seven years and a few months after that fateful Saturday in November 1982. I distinctly remember walking into the Guild meeting room, full of families who had also just entered the world of special-needs children, and experiencing a very familiar feeling. I was instantly transported back to the 6th grade, when the class of disabled kids was in the self-contained classroom next door to my homeroom. As they walked by our door, from lunch or the playground, I remember feeling an uneasy mixture of fear and pity. Fear, in not knowing what “those kids“ might do. And pity, at once thankful that I was not among them, and believing that their lives must be something less than mine. Thankfully, over the years that all changed. It started with events like Special Olympics, where I could actually meet disabled kids, and grow to like them. And then, I joined their dads. Within a span of just a few short months, all those kids in the Down Syndrome Guild became my kids. It was impossible to know them all well, but 28 years later, I still know their names. William, Sean, Matthew, another Stephen, Kyle, Paul. And their parents became some of our very best friends. How appropriate it is, then, that our son’s favorite activity is…. I’d love to hear from you about your experiences with a disabled person in your life. Please take a few moments to leave a comment. It only takes a few seconds! Has the weight of just a thought ever taken your breath away? Happened to me just this morning. Maybe it’s the fact that my daughter’s wedding is now less than two months away, and she was in town this past weekend for her first bridal shower. Maybe it’s this fact that this afternoon, my wife and I are attending a funeral for a long-time family friend who lost her battle with cancer. Her two kids are the same age as my middle two kids. A husband and wife, in their 80s, dancing cheek-to-cheek in their kitchen. It’s so easy to say, “Aren’t they cute? They still love each other, after all these years.” But have you thought about what that dance really represents? Millions of miles together in the same car. Tens of thousands of nights together in the same bed. Depending on how many kids they had, thousands, or tens of thousands, of diaper changes. Countless ER visits, late nights with sick kids, and broken hearts. Graduations, weddings, births, and then round two of graduations, weddings, and births. Deaths of their grandparents, their parents, their siblings, and occasionally, their children and even grandchildren. Several major health scares, surgeries, and treatments. Those of you who have lived it know that this list isn’t even close to exhaustive. And to top it all off, society has changed so extensively, and so rapidly, that the elderly couple can be left wondering if they’re even still relevant. As my thoughts sunk in, a physical weight rested on my chest. The sheer magnitude of two lifetimes, lived together and for each other, was more than I could bear. Anyone looking for miracles in the modern age need look no farther than the couple celebrating an anniversary of 50 years or more. God’s design for marriage, and God himself, for those who choose Him, make it possible to complete the journey. And for another post: What the elderly still have to give to their families and communities. Here’s a hint: They’re not only still relevant, they’re the missing link to sustaining our society. I’ll never look at an elderly couple dancing the same way again. I know I’ve written a lot about my daughter who had a traumatic brain injury (the youngest), and my son who has Down syndrome (the oldest). But God has blessed my wife and I with two other children as well, and I’d be remiss if I didn’t write about them, too. No, this post is to praise God and celebrate their giftedness. And to brag on them, just a little bit. We’ll start with my world-travelling daughter, who studied abroad for six months a couple of years ago, and has already spent more time around the Mediterranean Sea than I will in my lifetime. One of God’s greatest gifts to her, like her mother and grandmother before her, is the ability to teach. While her Mom is probably the best teacher I’ve ever known, my daughter is a close second. Their ability to teach their curriculum to each and every student in their class, regardless of that student’s ability or disposition, sets them apart. My daughter’s chosen to teach upper-level math in high school, another amazing gift from God. My son is a “people magnet.” When taking care of the little kids at church, my son is the first one to become a human jungle gym, a walking piece of playground equipment. Their dads come to him for advice and support. He’s studying to be a pastor, and from where I’m sitting, he looks to be perfectly suited for that. He and his beautiful wife will have been married for three years this coming May. My wife and I are thankful for all four of our children, and we are proud of them and love them for who they are, and who God made them to be. That’s exactly what it felt like. Waiting for the light to break through. For the first two days of March 1990, our world felt very dark. Our first child had just been born with a life-altering, if not life-threatening, disability. In those weary 36 hours, long minutes of numb silence were followed with tear-filled phone calls to grandparents, family and a few close friends. A broader announcement would have to wait. To wait for the light. In the 22nd hour of our darkness, we reached the end of ourselves. At the tender age of 27, the young leader of a new family of three, I was no longer able to lead. All I could do was follow. After a late night of prayer with an unnamed and otherwise unremarkable hospital chaplain, I laid myself down on a narrow, hard, 1970s-era fold-out hospital room chair, and tried to sleep. I’ve never slept so well in all of my life. Before or since. When does something so ordinary become a miracle? When the Creator of the Universe makes it so. That wonderful night’s rest was just the light we needed to make the tough decisions ahead of us, as we faced a life raising a son with Down syndrome. OK, guys, we’ve all seen them. You know, those posts on social media that you hope your wife, kids or your girlfriend never see. 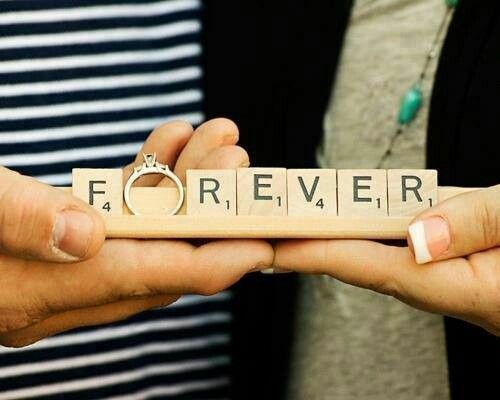 How about the impossibly cute way that a guy proposes to his bride-to-be? Thank you so much, Pinterest, for setting expectations way too high. Don’t they know that most guys don’t even look at Pinterest? By the way, I feel so bad for the guys in high school these days. You can’t even ask a girl out to Homecoming without baking a dozen cookies, or getting donuts. Son, you had better show up with at least a poster using the wrappers of candy bars as words in the question (with the candy bars inside, of course), or she won’t even listen to you. And then, at the bottom of these (usually self-congratulatory) posts, there’s often this hashtag: #Relationshipgoals. When my daughter and her close friends do something cool together, they take a selfie (usually several selfies) followed by the hashtag #Squadgoals. What about that dad who built the amazing Ninja course in his backyard for his daughter? I bet that #Dadgoals has appeared somewhere on social media in association with that video. So, after seeing these posts and swallowing my daily dose of inadequacy, a different hashtag comes to mind: #Leadershipgoals. What are the goals I’m setting today for my own family? Andy Andrews, one of the country’s top speakers on leadership, said on a recent Dynamic Communicators podcast that, with respect to parenting, our goal should not be to raise great kids, but to raise kids who become great adults. Excellent advice. Andy’s kids still live at home, but his words certainly apply to our adult children as well. In short, empty-nester parents must decide: What is the desired end product of your parenting today – and yes, you are still parenting, every day – even though your children don’t hear from you or see you daily? Those of you who have young adult children can testify to the change that occurs when they leave home. Especially the dads. I still love my children, but these days, I have to lead them more than ever before. Advising, consulting, counseling, encouraging. As I’ve written before, a person who “leads” with the sole goal of completing a task isn’t leading. Leading adult children this way might ensure that they don’t get evicted or the power stays on, but it doesn’t help them move forward in life. The effective father ensures that his kids are trained and educated on how to complete real world tasks without him. A dad who cares will make sure his kids know the right contacts they’ll need to get things done without him. And after preparing his kids, he’ll then allow them to grow by letting them perform adult-level tasks on their own, without him. Sound a lot like a good business leader? I certainly think so. Yes, a “leader” may exhibit excellence, competence, or even brilliance in manipulating his business team to or achieve a challenging objective. But if those he leads aren’t better people for his “leadership,” then he’s not an effective leader. So, what is my top #Leadershipgoal with my kids? Leading myself out of a job. My number 2 #Leadershipgoal? Watching with satisfaction as my kids soar.